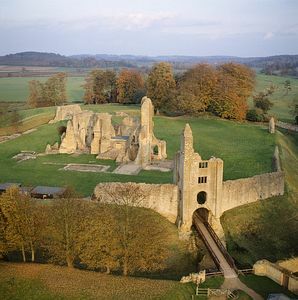 Built by Bishop Roger of Salisbury in the 12th century as a strongly defended palace, Sherborne Old Castle became a powerful Royalist base during the Civil War. Described as 'malicious and mischievous' by Cromwell, it fell in 1645 after a fierce eleven-day siege. Discover the castle's wildlife with our bird and bug hunting backpacks for families (subject to avaiability). Sherborne 'New' Castle is nearby.